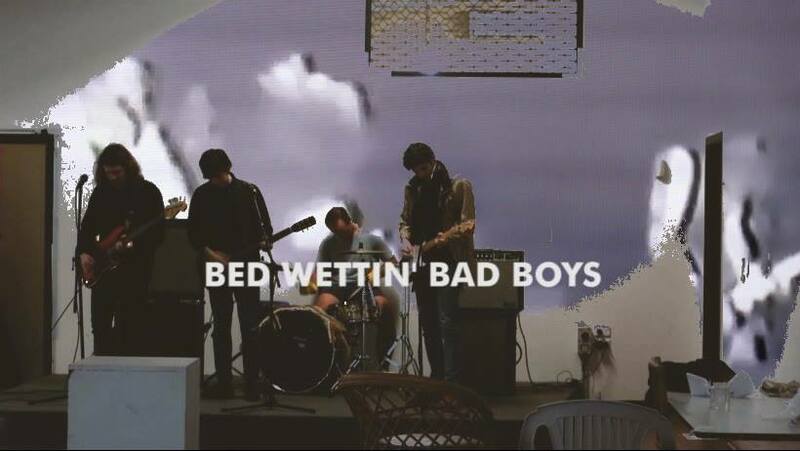 You may or may not believe it, but Sydney’s Bed Wettin’ Bad Boys have defied all odds and perhaps better judgement to produce what is known in the music business as a “new album”. It’s titled ‘Rot’ and critics have called it everything from a “follow-up album” (Marc Masters – Pitchfork) to a “kind of album” (Tim Sendra – Allmusic). Perhaps the dazzling word of renowned music journalists isn’t enough though. Maybe before forming an opinion on the “rock” (Brian Coney – Loud and Quiet) music created by the group you want to witness it live, in person. Well you may or may not believe it again, but this summer you will have the rare opportunity to witness Bed Wettin’ Bad Boys perform live (for the first time in Canberra in nearly 2 years) and not only that, it will be in person. Better still, also performing on the night are the excellent NEW AGE GROUP, DOG NAME and SOB STORY.